Please find below our Easter Menu! 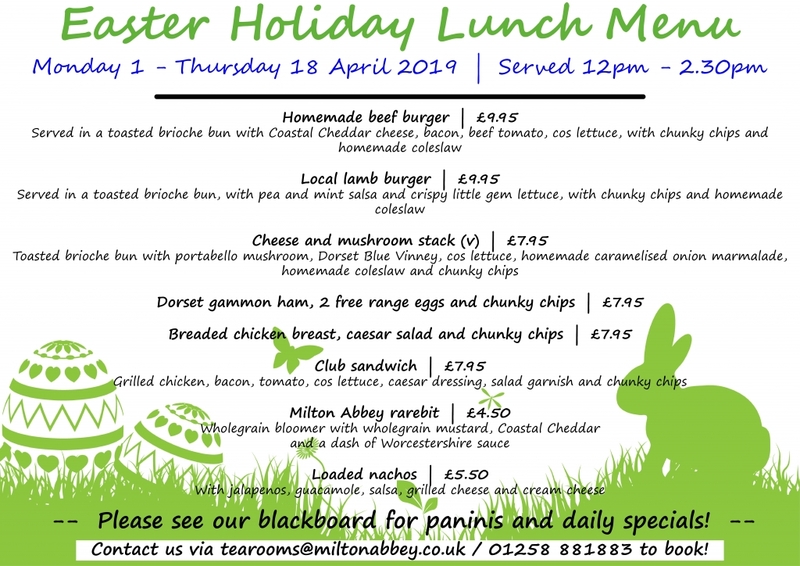 Our Easter holiday lunch menu will be served daily from Monday 1 – Thursday 18 April – we hope you will join us! Be sure to check our Facebook page for our Breakfast and Panini menus! Please check our Opening Times page for daily opening hours.